We are ranked amongst the renowned organizations that are engaged in offering the best quality range of Packway Type Box Strapping Machine. This strapping machine is highly demanded by our clients for strapping various items owing to its easy to operate and low maintenance features. Offered strapping machine is well-manufactured using fine grade components along with advanced technology at our vendor's end. Apart from this, the offered strapping machine can be availed at moderate price. Established in the year 2004, we, “Arjun Packaging Machinery”, are one of the reputed organizations successfully engaged in exporting and importing a wide range of Packaging Machinery & Material. 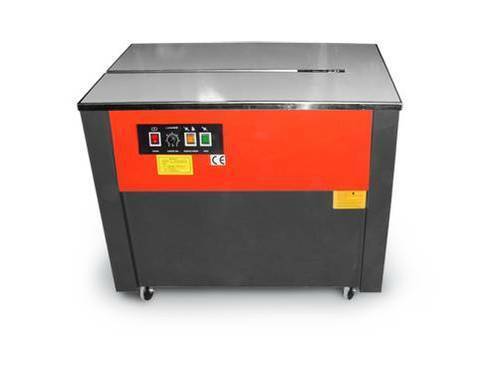 Our offered range consists of Strapping Machine, Band Sealer Continuous Bag Sealing Machine, Carton Sealing Machine, Induction Sealing Machine, Shrink Tunnel, Stretch Wrapping Machine, Coding Machine, Vacuum Packaging Machine, Packaging Material and many more items. Our entire range is sourced from the most trustworthy and authorized vendors and manufacturers of the industry, who manufacture this range in strict adherence to the international quality parameters. To manufacture a flawless and an unparalleled range of products, our vendors are making use of high-grade raw-material and globally advanced technologies. Furthermore, with the enormous support of our procuring agents, we are associated with the reliable vendors who aid us in meeting bulk, variegated and urgent requirements of the market. To ensure that we are offering a quality-approved range which is as per the international quality parameter, all the products are rigorously examined before being procured and dispatched in the market.